Hollybeary Creations : NND January Sneaks Day 4!! NND January Sneaks Day 4!! Happy Thursday everyone... It's our final day of sneaks from the January release. And all the products we've featured will be available tomorrow in the store! Today we are sharing an Adorable new Newton set called Newton's Sweetheart and it's coordinating dies. This set reminds me of the Aristocats movie. I'm showing my age.. Ha Ha even though it was released before I was born it was a Favorite of mine when I was little. I colored up the images to resemble Dutchess and O'Malley. I started by adding some Glimmer Paste to a piece of Watercolor paper with the new Falling hearts stencil. I like to use the watercolor paper when I'm using a lot of this stuff because it keeps holds shape better as it drys. This was a very glittery card..lol I trimmed a 1/4" off the edges and adhered the panel to a Black card base once with was dry. Then I stamped the cat images onto a piece of X-Press it blending cardstock and colored it in with Copics. I used the coordinating die to cut it out. I die cut a heart from the Darlings Hearts Die set and stamped the paw print from Newton's Sweetheart set in Black ink and colored in with a Black Copic and added some shadows. I adhered that to the panel and added a sentiment banner and then the kitty image. I added a little Clear glitter Nuvo drops to the center of the collars. Great card! Love the glitter background. OMG!!! Holly Aristocats are my favorite movie too! It's such a wonderful idea to color the sweet couple like the card from the movies!!! This card turned out in the most amazing way!!! I love the red glitter hearts background! Your card is very cute! I'm not a big glitter person, but I like all the glitter on your card. I think it looks great! Fabulous Valentine card - The colors are perfect! Oh and Newton and his gf are just the perfect couple! 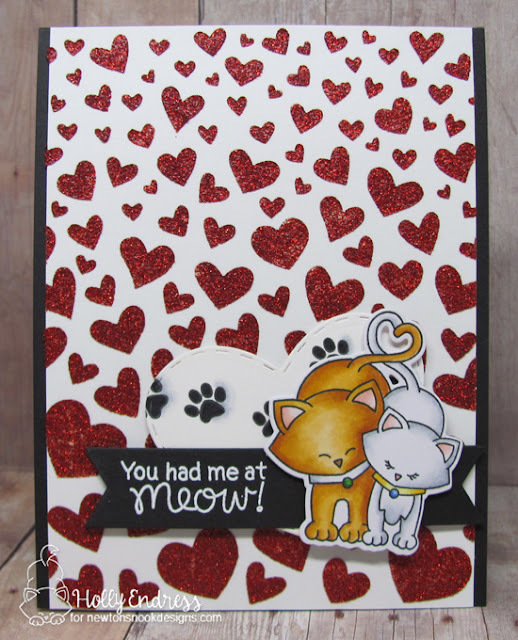 The red glitter hearts make the purrfect background for the lovely kitties. Darling card! Oh my!!! I'm totally in love for your sweet creation!!! The cuteness in a card!!! So darling, love all the glitter. I bet it's even more stunning in person!! LOVE all that glitter!! And it is a lot, lol! Lovin' your sweet kitty couple. the pawprint heart is a sweet touch. 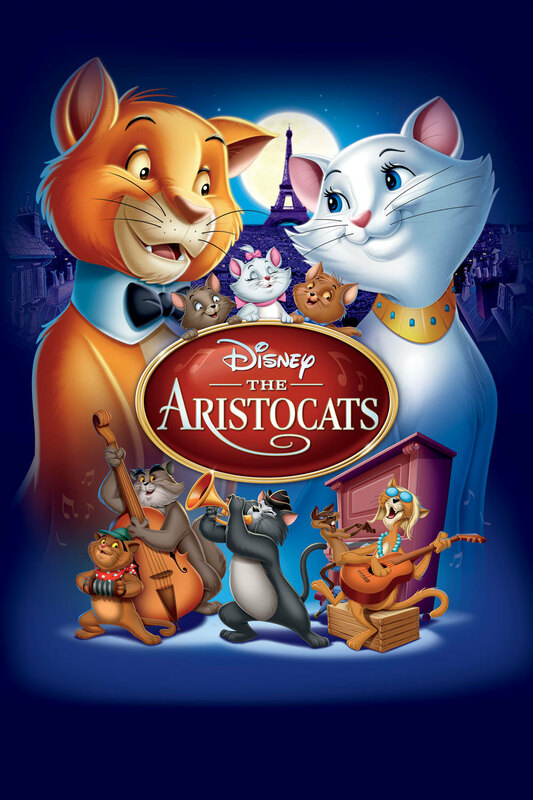 I loved the Aristocats movie when I was a kid! I like how your cute kitties pop against that sparkly red heart background!! Fantastic card! I love the heart background! Holly your glitter paste turning out perfect and I love how your card turned out. An amazing release, and a great set! 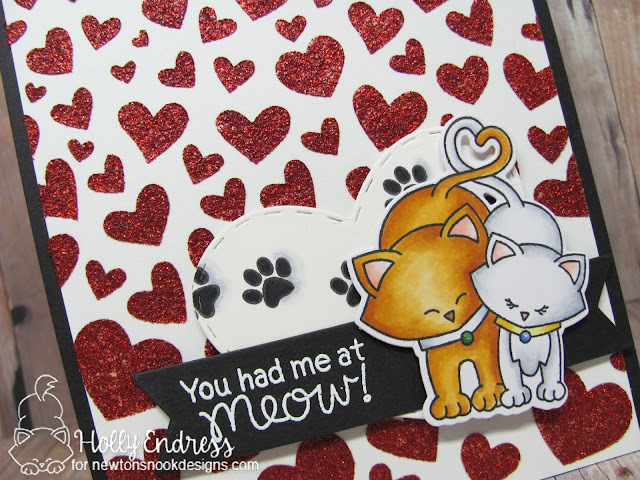 A great tip on using watercolor paper with glitter paste and love how you colored these kitties! Love this pretty Valentine! Love the glittery hearts for the background! I can see why it reminds you of the movie...cute card. Fabulous card and love the inspiration! The glittery heart background is perfect! So pretty and sweet. Love the glimmer paste sparkly heart background. 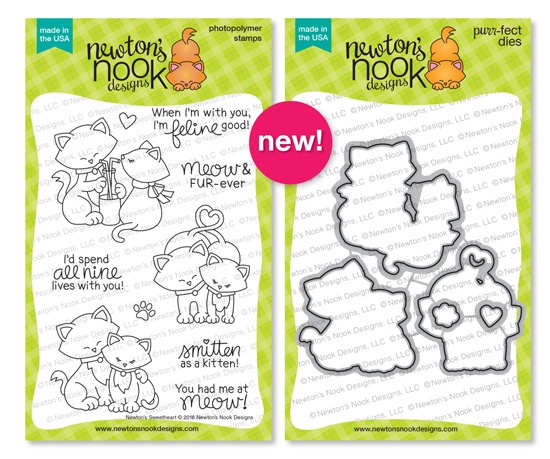 That’s an irresistibly cute card ! What a darling card...love the heart background! Cheers.